Fluttershy and My Little Pony: Friendship is Magic are property of The Hub and Hasbro. *EDIT*: Added SVG file w/ minor tweaks for accuracy. Would you mind your art being used on a pacifier? I'm an artist aswell and make sure to always ask permission. My favorite of the ponies!!! Nice vector, she is really cute! I used your lovely vector on my new blog, Industria and properly credited. mlp-industria.tumblr.com/cast I hope you don't mind that I changed the colours. If you have a problem with it, just say something and I will take it down. 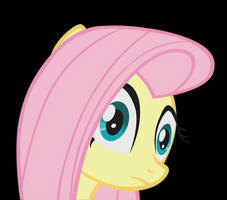 Fluttershy in my opinion is the most sweetest pony I've ever seen. I think you'll like, eh? So adorable. I used this in a YouTube video. I hope you don't mind. Love her! my favorite pony! Your orders have been obeyed! MY LITTLE PONY IN MY LIFE, MY SOUL AND MY HEART! FLUTTERSHY REALLY MEAN SO VERY MUCH TO ME. too late! i already love her!!!! 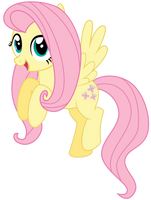 !fluttershy is the best pony.yaaay. And that's how Equestria was made!-Pinkie Pie. Sorry, I'm not familiar with all the rules of copyright... Is it okay if I create a "customly" designed cup with this picture on it? It would be only one and I wouldn't sell it or make any money by using the picture. If you're just making one or a couple cups its all good. Just don't start making a profit off of them. Sometimes even not making a profit off of something is not enough to validate fair use so be aware. Um... I'm not familiar with all the rules of copyright... Is it okay if I use this picture to create a customly designed cup? It would only be one and I wouldn't sell it to anyone. She is precious, I want to cuddle her so bad and hug her. Man I Just Wann Hug Her. Fluttershy is one of my favorite ponies. The impossibly cute one... And impossibly nice. That's why I love her! Long as you give credit for the original, I'm fine with it.